President Donald Trump on Tuesday night nominated Judge Neil Gorsuch to the U.S. Supreme Court, using the first prime-time address of his presidency to fulfill a campaign pledge to name a conservative to the high court. It’s now up to the Senate to decide whether Gorsuch, a judge on the U.S. Court of Appeals for the 10th Circuit, will fill the nearly year-old vacancy left by the death of Justice Antonin Scalia, a staunch conservative. “I would only hope both Democrats and Republicans can come together for the good of the country for once, for the good of the country,” Trump said. 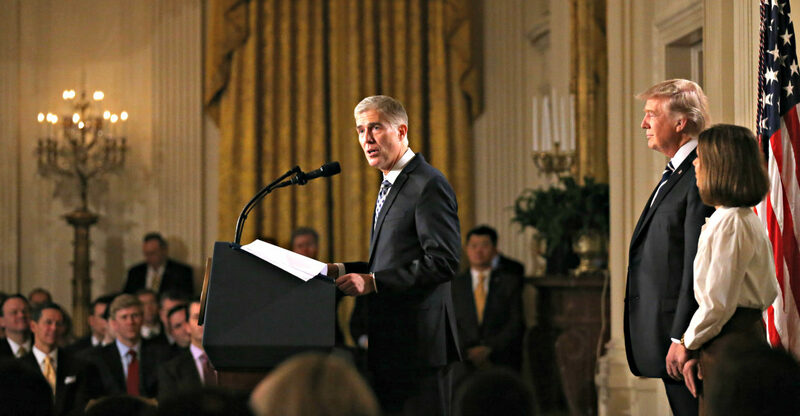 Gorsuch, 49, brings a strong record on gun rights and religious freedom, and what admirers call a clearly articulated judicial philosophy. What an outstanding pick for the Supreme Court! How the left can oppose such a fine man baffles me! I pray he will be nominated soon!